Thank you for voting us Best of Hipcamp California 2018! 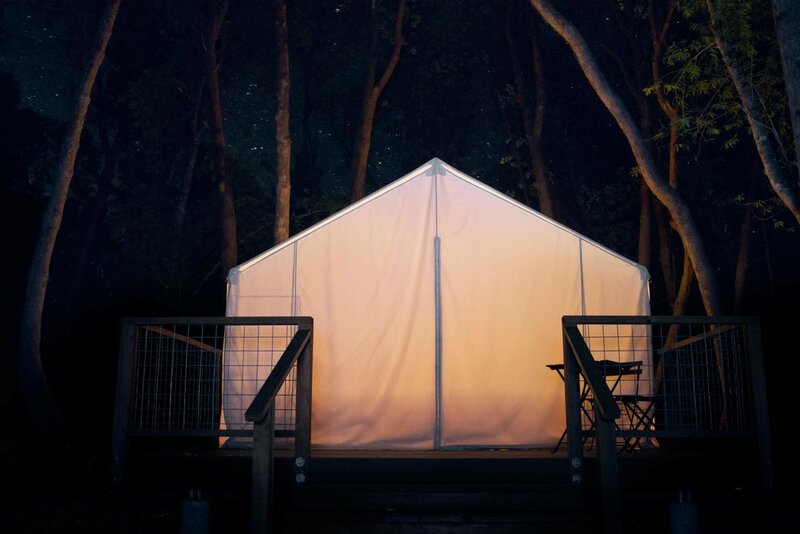 Our furnished canvas tents are pitched on a wooded ridge topping 400 acres of sustainable, family-owned timberland. Come unplug and enjoy the seclusion, or indulge in the nearby luxuries of California’s Wine Country. Enjoy a picnic, hike trails, stargaze, or relax by a fire. Fifteen minutes away, downtown Healdsburg offers fine dining, shopping, wineries, breweries... Ready for an impromptu game of courtyard bocce? Canoeing down the Russian River? We’ll help you plan for as much or as little as you wish.